Nice bronze to Mahogany color in the fall and winter. 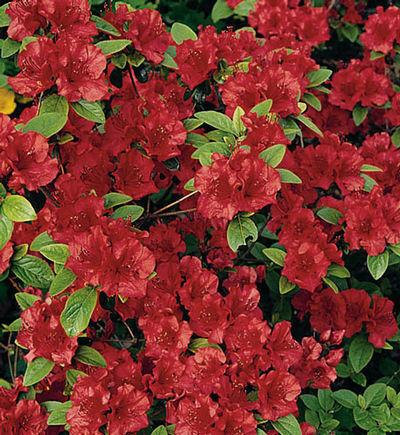 The Girard azalea offers excellent, large flowers and evergreen foliage. Developed for colder climates by Girard Nurseries, Geneva, OH. An excellent choice for the northern gardens to zone 5. Fertilize in the spring after blooming with a food for acid loving plants. For a formal sheared hedge planting 3 feet apart is recommended. When a natural hedge is prefered space 3 to 5 feet apart. Click on the "About Us" tab to find planting instructions.